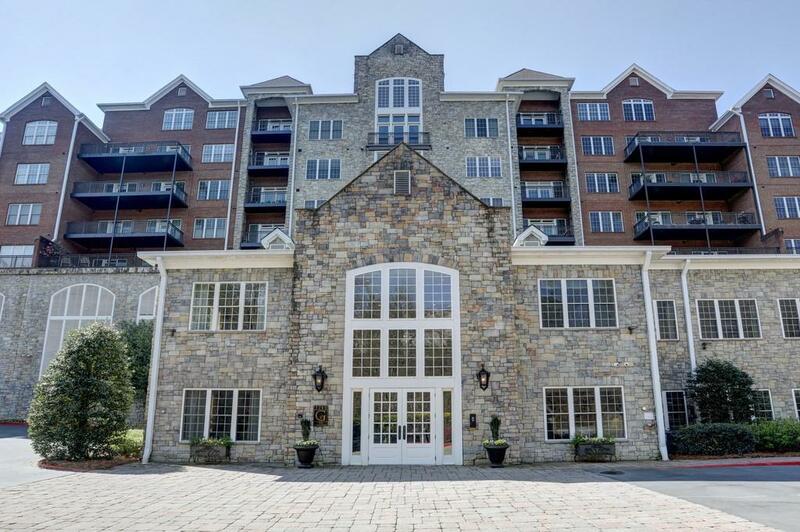 Spectacular 2 bedroom, 2 1/2 bath luxury Vinings condo. Immaculately maintained. Fresh paint, newly refinished hardwood flrs, new carpeting, ceiling new fans & new lighting throughout. 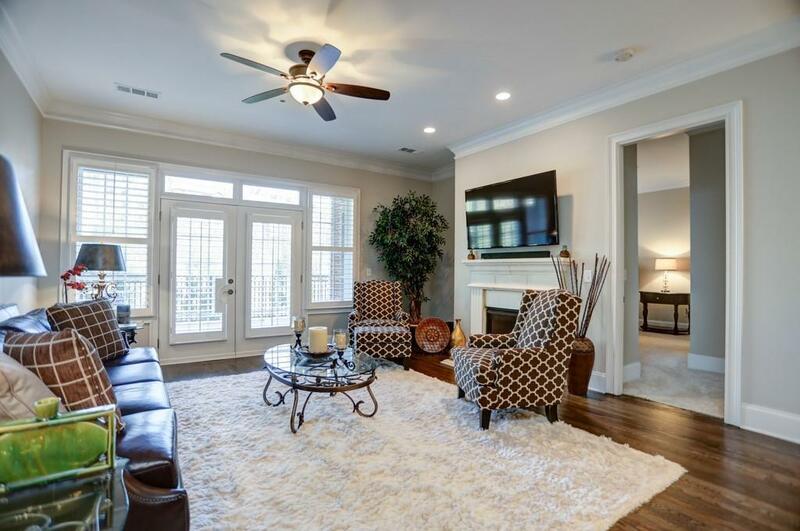 High ceilings, granite counter tops, stainless appliances, under cabinet lighting & more! Enormous private balcony/patio overlooking pool w/wooded views. 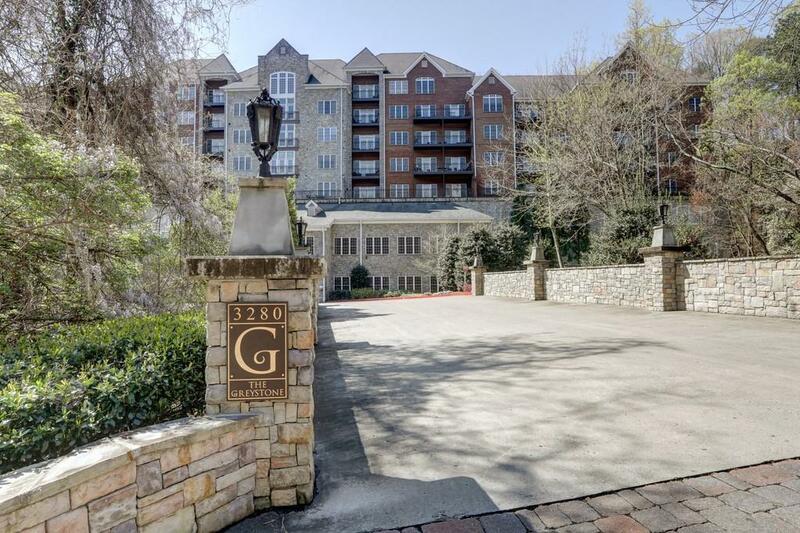 Enjoy your Greystone retreat or entertain, complete with concierge, club room, pool, fitness center, 2 covered parking spaces & just minutes to shopping, dining, interstates & Suntrust Park/Braves Stadium. You will love this place!